Soon, Fieldgate will be launching CityLux Towns in Thornhill Woods. Our new luxury residences will be surrounded by all of the amenities your family needs on a daily basis. Located at Dufferin and Rutherford, CityLux Towns is within a close proximity to grocery stores, schools, parks, banks, golf courses, recreation centres, restaurants and cafes – everything you need to maintain a healthy, active, and convenient lifestyle. A couple of the closest schools to CityLux Towns are Carrville Mills Public School and Langstaff Secondary School. 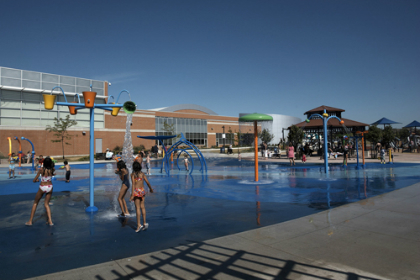 The two nearby parks, Alexander Park and Pheasant Hollow Park, feature playgrounds, a basketball court, mini-soccer field, and picnic areas. For groceries, you never need to travel far thanks to the nearby Longo’s, No Frills, and Sobeys. On special occasions or nights when you feel like treating your family to dinner out, there are a few great restaurants along Dufferin, as well as Rutherford. Whether you need to make a quick stop on your way home to pick up some essentials or you’re indulging in some retail therapy, Thornhill Woods has some great spots for you. 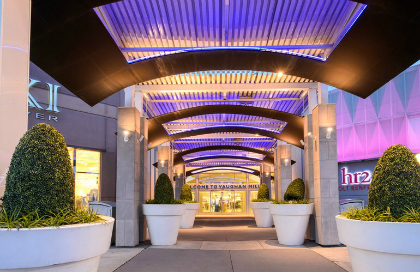 Shoppers Drug Mart is only a few steps away from CityLux Towns, and the popular Vaughan Mills shopping centre is just eight minutes away by car. 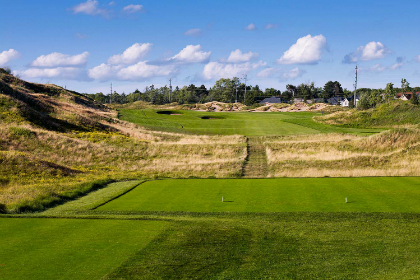 For all you golfers, you’ll be pleased to know that one of Vaughan’s most prestigious golf courses, Eagles Nest Golf Club, is only a few minutes north of CityLux Towns. For other forms of recreation, the North Thornhill Community Centre offers a number of facilities, including a fitness centre, sports courts, and a swimming pool. Getting around the GTA is especially easy at CityLux Towns thanks to quick access to Highways 7, 407, and 400. Plus, the Rutherford GO Station is only a few minutes away, so you can get to places like downtown Toronto very quickly! We are looking forward to releasing our collection of luxury residences at CityLux Towns in Thornhill Woods. To stay updated, register now!